Every year CMHA Kelowna hosts an evening of art and community as we celebrate the accomplishments of our ArtWorks Studio participants. The Artists Among Us art gala is a celebration of mental health recovery and wellness for people with lived experience. The 2019 event will be held at the Kelowna Art Gallery on Friday, October 4th. *70% of each piece sold goes directly to the artist and 30% supports the ArtWorks Studio in our Wellness Development Centre. More about ArtWorks: The ArtWorks Studio is a comfortable and welcoming space for an adventure in learning new skills, to have an avenue for self-expression and to create art as a pathway to wellness. The studio is a place where we nurture the creative spirit and honour the whole person. Many participants of the ArtWorks Studio have overcome isolation, achieved a sense of belonging and built a stronger connection to the community. The studio offers art classes taught by local artists and covers a wide variety of techniques and mediums that are put to practice during open studio sessions. The overall experience is one of wellness. Find out five great mental health benefits of art! 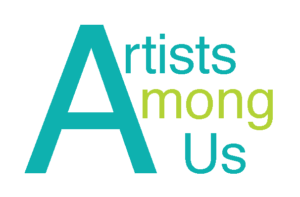 To sponsor the 2019 Artists Among Us art gala please contact Shari Slattery, Fund Development Manager.